I had a great day last week doing a video shoot for the Nut in the Hut. And yes it will be as mad as the song is.Dominick at Doc Leg End Productions is directing it. He did a great job on the Mol an Aimsir video and I’m looking forward to seeing how The Nut in the Hut video turns out. 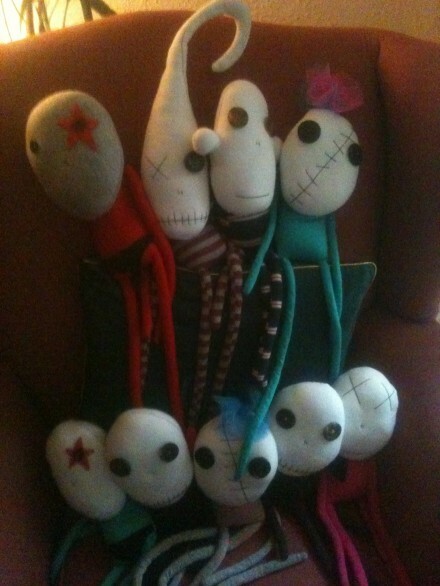 It features The Grumptys, handmade dolls made from reclaimed materials, mainly t-shirts. They are stuffed with beans and their faces are hand sewn and decorated with vintage buttons! They are made by Vicky White. We’ve another day or two of shooting to do but I’ll let yis know when it’s out! 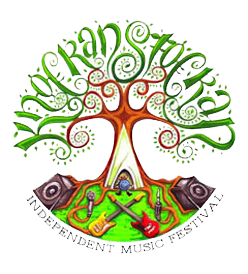 I really enjoyed the set at Knockanstockan yesterday and it was great to see so many familiar faces in the audience. Thanks again to the band, to Stephen James Smith, and the Knockanstockan Crew.